The policy described herein (“Policy”) is implemented in Balneohotel Aura. In Balneohotel Aura we strive to provide excellent products, services and experience throughout the world. We value your business highly, and even more importantly – we value your loyalty highly. We know that confidentiality is very important. We have developed the current policy, in order to clarify our practices regarding personal data, collected from you or for you on this website or through our applications, through written and verbal communication with us when you visit our premises, and from other sources. In any instance of contact or interaction with the guests and in carrying out all aspects of our work, it is possible that we collect personal data. This data may include: your contact information; information, related to your reservation, stay or visit; participation in a membership or the Loyal Customer Programme; participation in a competition, lottery or marketing program (even if you’re not staying in one of our hotels); information, related to the purchase and receipt of products or services; personal characteristics, nationality, income, passport number, date and place of passport issue, travel history, payment information, for example, bank card number and other bank card information, as well as authentication information and other similar data for invoicing and payment account, related to mobile payments; preferences as guests; preferences for communication and marketing; information regarding the vehicles you bring to our premises; other types of information, which you chose to provide us with or which we can receive about you. Participation in the Balneohotel Aura Loyal Customer Programme on the website: www. hotelaura-bg.com. When you sign up for this program, you will be invited to enter with your electronic address, Facebook or Google+ profile, in order to be able to use all the benefits of the program. Keep in mind, that under these circumstances we will administer your personal data, which we have not received personally by the data subject. Be informed that this data will only be used for the purposes of the tourist services, provided by us, in our capacity as co-administrator of personal data. * Data collected on our premises: We collect additional data when you register at our premises, including data requested under the Tourism Act. We may also use a hidden surveillance system and other security measures on our premises, which may capture or record photos of guests and visitors in public areas, as well as location information about you during your stay on our premises (through access cards and other technologies). We may also use a video surveillance system and records of sound or video, in order to provide protection for our employees, guests and visitors, on our premises, when this is permitted by law. At the Reception we record video and sound. This capture (observation) is carried out only with the aim to provide protection and security for our guests, and is only carried out in the public spaces of the hotel (not in your room). Be informed, that the capture does not relate to the processing and collection of personal data, and is not carried out with this aim, and therefore the records are deleted within the term set in legislation. We may also collect personal data in relation to services at the premises, such as concierge, fitness clubs, SPA centers, events, childcare services and equipment rental. * Events profiles: If you plan an event with us, we collect details regarding this event, date of the event, number of guests, details on the rooms where guests stay, and, in case of corporate events – information on your organization (name, annual budget and number of sponsored events per year.) We also collect information on the guests, who participate in your group or event. If you visit us as part of a group, we may have personal information about you, provided to us by the group, and you may receive offers from us as a result of your stay in a group or participation in an event, depending on your preferences and to the extent that this is permitted by law. If you visit us as an event participant, we may share your personal data with the event organizers, to the extent that this is permitted by law. If you are an event organizer, we may share information about your event with third parties, providing services, who may offer their event services to you, to the extent that this is permitted by law. * Social networks: If you choose to participate in activities or offers in social networks, sponsored by Balneohotel Aura, we may receive some information from your social network account, in our capacity as co-administrator of personal data together with the social networks, depending on your settings in the respective social network, such as location, registrations, activities, interests, photos, status updates, and friends lists. We may also provide you with the opportunity to participate in photo competitions, for example, related to photos taken during your stay with us, which you can share with your social network contacts for evaluation and voting, shared offers and other promotions. These photos are not processed by us as personal data and are not deemed personal data. Participants in the Loyal Customer Programme: If you are a participant of our programme, we use your information for the personalization of your experience when you use our services. We also use your data for the dissemination of news, promotional materials, and transaction materials regarding different Balneohotel Aura services, as well as for the personalization of advertisements and content, provided to you through online, e-mail, mobile and visual advertisement, as well as on our website and in our social media profiles, depending on the preferences you have given with regard to the receiving of notifications. Planning of meetings and events: We may use your personal data, in order to provide you with information regarding the planning of meetings and events. * * Marketing and communications: Within what is permitted, we may use your personal data, in order to provide you with or offer you bulletins, promotions and updated special offers, as well as other marketing notifications, depending on your notification preferences. We use your personal data in order to provide notifications during your stay, notifications regarding accounts and reservation confirmations, and marketing notifications, and to carry out studies, lottery betting, lotteries and other competitions. We may provide these notifications through e-mail, post, social networks, telephone, text message (including SMS and MMS), targeted notifications, notifications in applications and other means (including notifications in the premises, for example, through the TV in your room). With your permission we will also use user generated content (for example – photos) the social media services for the provision of visual advertisements on our websites and in our apps in case of co-administration with these third parties. We collect information regarding your bank card, which may be added to your personal data and used by Balneohotel Aura, in order for us to provide you with and/or send you targeted marketing notifications based on your payment method and depending on your notification preferences. We may also partner with third parties, in order to understand whether a visitor to our premise has a discount offer in case of immediate payment, related to his/her bank card, and we may provide the visitor with advertisements information, clarifying how they can use the respective offer during their stay in Balneohotel Aura. *Service improvement: We may use your personal data to introduce improvements of the services, provided by Balneohotel Aura, and in order to guarantee, that our premises, products and services, are of interest to you. We also use your personal data in order to provide you with the expected level of hospitality in your room and on our premises. This can include the provision of the possibility to manage technologies in your room through our website, or applications from your personal devices. * Accuracy, analysis and personalization of data: We may also summarize your personal data with information from third parties, in order to maintain the information updated for analysis. We may also depend on information from third parties when we provide better and more personalized services. If, for example, you link your social media services or other accounts with our services, we can use this information to provide you with a more personalized social experience with us, or to share the information as described elsewhere in this declaration. * Group events and meetings: If you visit Balneohotel Aura as part of a group event or meeting, the information, collected during the planning of the meeting or event, will be shared with the organizers of these events and meetings, and, when necessary, with the guests, who organize or participate in the event or meeting. Business partners: We may collaborate with other companies, in order to provide you with products, services, or offers, based on your experience on our premises. In relation to this, we may share your data with our business partners. For example, we can help you in finding a rental car or other services from our business partners, and share personal data with these business partners, in order to provide these services. We may also share your personal data, like, for example, your e-mail address, with our corporate partners in the tourism sector, or to participate in marketing activities with co-participation of other brands together with our corporate partners in the tourism sector. In the case of such co-administration, in order to protect your personal data, we request from third parties to provide the same level of protection, as provided by Balneohotel Aura. Services on the premises: We may share personal data with third party providers, who provide services on the premises, such as concierge, SPA procedures, golf or restaurants. In the case of such co-administration, in order to protect your personal data, we request from third parties to provide the same level of protection, as provided by Balneohotel Aura. 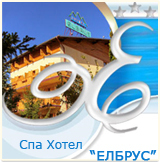 * Others: In addition, Balneohotel Aura may disclose personal data, in order to (a) comply with applicable laws, (b) answer to requests for information for the government or public bodies (c) comply with applicable legal procedures (d) protect the rights, confidentiality, safety or property of Grand Hotel Velingrad, web-site visitors, guests, employees or the public. (e) allow us to demand limitation or reduction of damage, which may be caused to us (f) apply the terms and conditions on our websites (g) react in emergency situations. 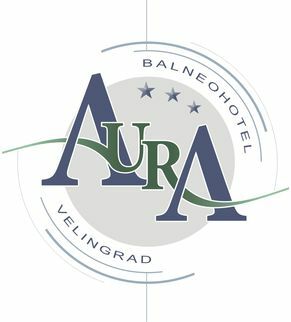 When you visit and use the website of Balneohotel Aura we collect other data, which do not directly disclose your identity (pseudonymization), related to your use of the website, like, for example, a catalogue of the websites you visit and the number of times you visit our sites (“Additional information”). We use additional information and data, received by third countries, to provide you with e-mail, online (on our and other websites) and mobile advertisements. A note for EU Citizens: If you are in Europe, you can also change your cookie preferences. To do this, you need to make changes to the “Cookie settings”. As a parent or legal guardian, do not allow your children to send personal data without your permission. If we still receive, process and store personal data for children under 14 years of age, these data are stored under a special regimen of storage ant processing of children’s personal data. Balneohotel Aura will take reasonable measures to: (a) protect personal data against unauthorized access, disclosure, change or destruction (b) maintain accurate and updated personal information, as appropriate. We also require from service providers, with whom we share personal data, to take measures analogical to ours, for the provision of confidentiality for your personal data. For online transactions we use special technological means for personal data protection with regard to the data you send us through our website. However, regrettably, there is no security system or data transfer system online, which is guaranteed to be completely secured, and in case of breach, we are under the responsibility to address the case to the Personal Data Protection Commission within 72 hours. We will contact you through mobile/text notification or e-mail, in order to ask you to provide us with your confidential data or bank card data. We will ask about bank card data on the phone only in case you are making a reservation or are reserving a promotional package. We will not contact you to request your account log-in information for the Loyal Customer Programme of Balneohotel Aura. If you receive such a request, you should not respond. Within the framework of applicable legislation, you can ask about information regarding the personal data we store about you and, when appropriate, to request its update, correction or deletion (“right to be forgotten”) of your personal data, which we maintain in our active database. We will perform all necessary updates and changes within the time-frame, set out in applicable law, and where it’s permitted by law we may request a certain tax to cover the costs related to the request. Such requests must be sent in written form to reservation hotelaura-bg.com. In order to protect the confidentiality of your personal data, we can only reply to such requests through the e-mail address you used when you registered or provided to us by other means. Please remember, that when you make such a request, it’s possible that we will not be able to provide you with the same quality and diversity of services you are used to. Additionally, under certain circumstances, based on applicable law, you can request that we stop sharing your personal data with our business partners, or Balneohotel Aura deletes limits or pseudonymises your personal data. To this end you need to contact us on the e-mail, specified above. We will try our best to reply to these requests in compliance to the General Data Protection Regulation (GDPR). In addition to quality service, "Aura" spa hotel attracts many visitors with its attractive prices. 25 Tsar Ivan Asen Str.